Product version: v1.1.3, last updated: January 8, 2019. 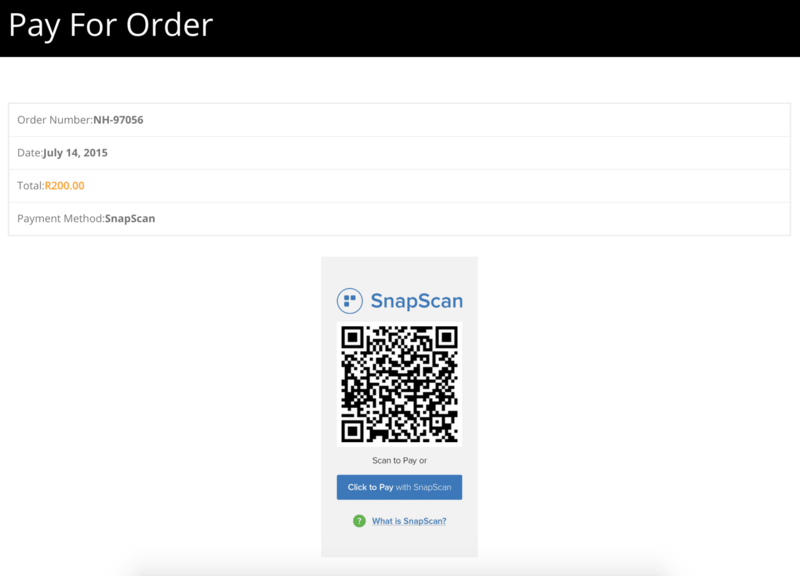 WooCommerce Snapscan Payment Gateway is a WooCommerce Extensions being developed by Woothemes. 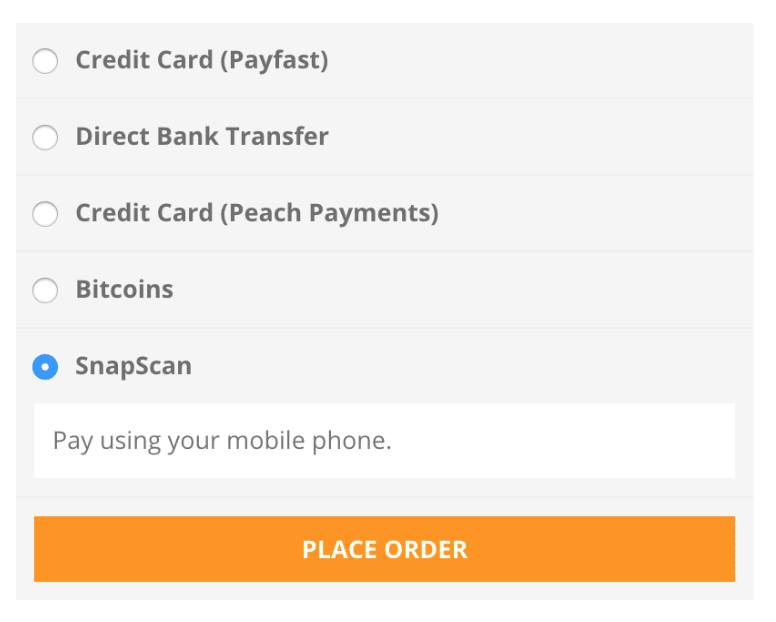 WooCommerce Snapscan Payment Gateway allows your South African customers to check out quicker and more securely with a scan or tap via card details stored on their phone.